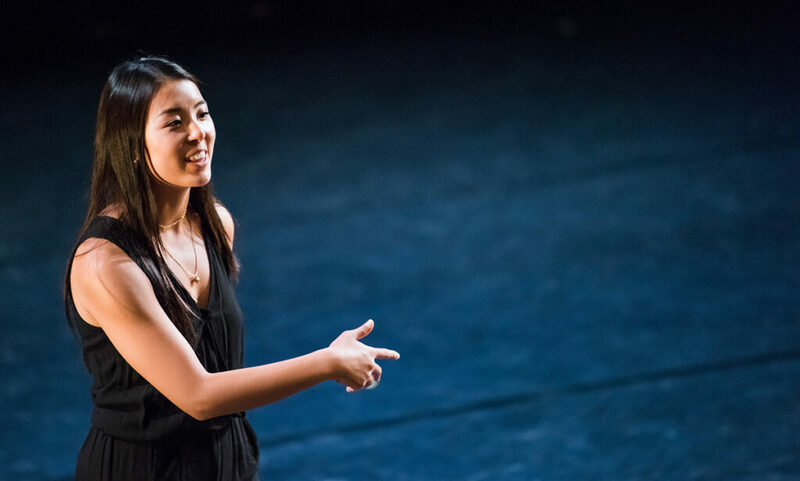 On Saturday, June 9, the stage of Terrace Theater at the John F. Kennedy Center for the Performing Arts in Washington, D.C., will be graced by the choreography of new UMBC alumna Maia Schechter ’18, dance. Schechter is a Linehan Artist Scholar whose work was selected for the finals of the American College Dance Festival (ACDF) through a nationally competitive process. Her dance, Now Elsewhere, previously has been performed at West Chester University in Pennsylvania and twice at UMBC. Maia Schechter discusses Now Elsewhere at Undergraduate Research and Creative Achievement Day 2018. 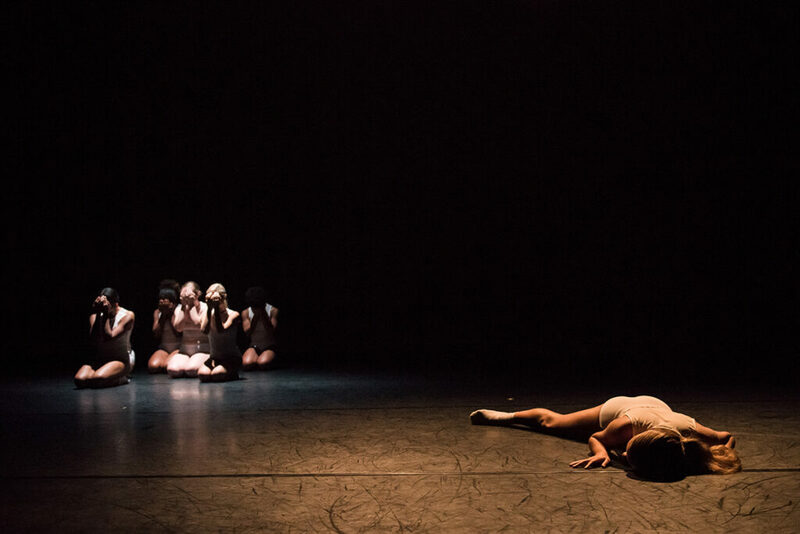 Six UMBC students and alumni will perform the dance, including Emily Godfrey ’20, dance; Clarisse Lukban ’20, dance and biology; Kasey Mannion ’19, dance and elementary education certification; Briana Norwood ’20, dance; Giavanni Powell ’19, dance; and Kendra Welborn ’17, dance. Tickets to the festival are available online through Kennedy Center. Photos by Marlayna Demond ’11 for UMBC.